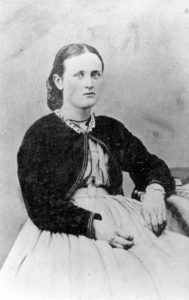 Theresa Balsor was born October 29th, 1848 at what is now known as Donnellan’s Brook. Her mother Margaret had first been married to Charles Ogilvie, who built the house on the Fundy shore where Theresa was born. Following Charles’ death in 1840, Margaret married Christopher Balsor. Theresa was the second of three daughters from this marriage. As she had with her first family, Margaret Balsor would have made sure that her daughters learned reading, writing and the necessary skills to live self-sufficiently. This would serve Theresa well when she married William Grant McAuley and moved to a farm a short distance away on the Lightfoot Road. Here they raised a family of 8 children and for 34 years developed their 200-acre farm into a flourishing enterprise. Theresa also wrote a column for the Berwick Register, sharing community news from the Burlington and Woodlawn areas. William died in 1900 at the age of 69 after suffering ill health for several years. Though astute in business and farming, Theresa found her life lonely and difficult. She married William Robinson in December 1902, much to the dismay of her family, who considered him an opportunist and untrustworthy. After a turbulent year and a half of marriage, Theresa was murdered on May 24, 1904, and her farm set afire. William Robinson was convicted and hung for this crime. 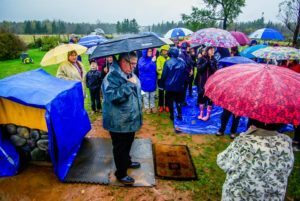 Our community has not forgotten; many people were deeply distressed by her violent death. A later-felt and sorrowful consequence was that the community lost its voice to the outside world via Theresa’s role as correspondent for the Berwick Register. Some of Theresa’s remains lie in this cemetery, and though the exact location is unknown, are believed to be close to her sister Charlotte’s (Armstrong) grave. This monument has been erected to her memory and will stand for all women whose lives have been affected by domestic violence. The last chapter of our community history book From the Brow to the Bay tells a more complete story and pays tribute to this unfortunate woman. The book is available from Cemetery Board members Brian Hirtle (902-538-7192) and Pat Kemp (902-538-3387) and at Larry’s Pharmacy, Berwick. Also, seasonally at the King’s County Museum, Kentville and North Mountain United Tapestry, Harbourville. 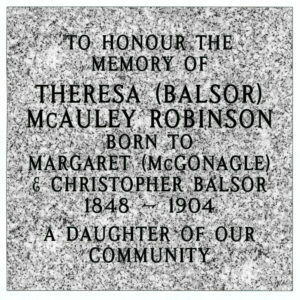 The long-hoped for monument in memory of Theresa McAuley Robinson became a reality on October 26, 2014 with a public dedication ceremony followed by community reception at the Burlington Community Hall. The infamous and sad story of her murder in 1904 is well-known to most residents. Thanks to generous funding from great-granddaughter Jan McAuley Dubinski, the Kings County Museum, Cyril White of White Family Funeral Home, the Municipality of the County of Kings and our community in addition to the support of Burlington Women’s Institute and Chrysalis House, the memorial stands on the south side of Burlington Cemetery. 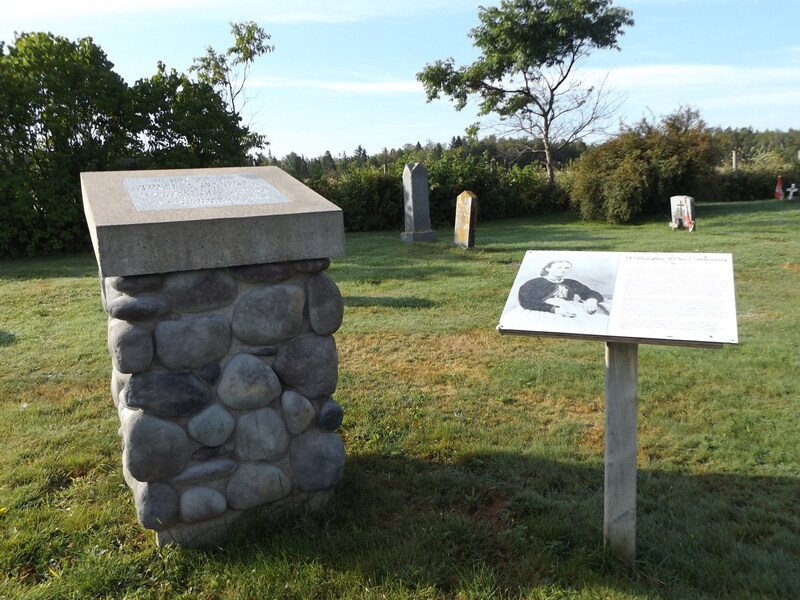 Interpretive panels tell who Theresa was, what she contributed to the community and how she died. Indeed, this monument stands in memory of all women whose lives are affected by domestic violence.